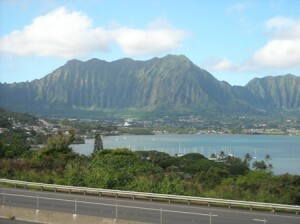 Recently I was in Hawaii and drove up the scenic H3 highway on Oahu. We passed mountains and trees and more mountains and more trees and eventually arrived at the coast. We pulled off at a scenic overlook and took the necessary pictures of the scenery. As we walked back to the car, a piece of graffiti caught my eye. 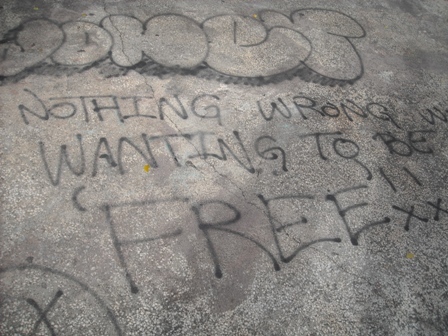 It read: Nothing wrong with wanting to be free. I smiled at that sentiment and snapped a digital picture. Here’s to wanting to be free, trying to be free, being free. Here’s to being free in mind because that’s where it starts. 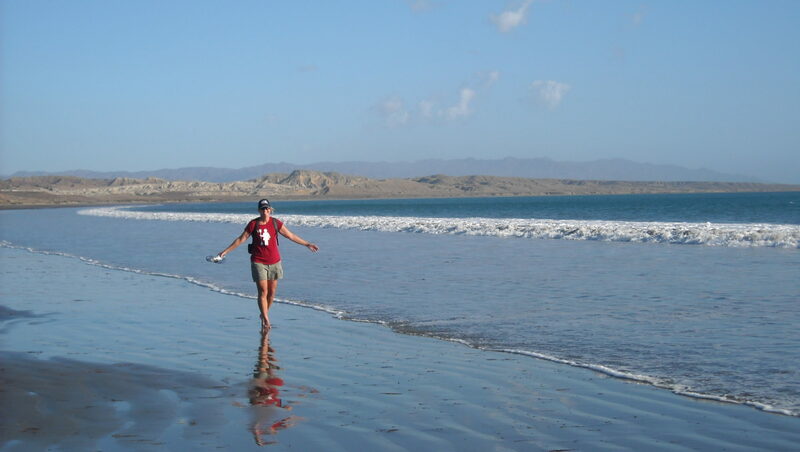 Here’s to escaping whatever might trap us this week, this month, this year. Here’s to the calm that comes with freedom. Here’s to no more fear, no more wanting, no more anger, no more shame. Here’s to a year of being free. Let’s see where it takes us.